Colour of the Year 2019 From Pantone. CMYK, RGB, etc! After extensive research and trend analysis the experts at Pantone have decided that ‘Living Coral’ is the Colour of the Year 2019. Each year, Pantone offer a ‘Colour of the Year’, which can influence designers of all kinds. It can impact product development and purchasing decisions in fashion, home furnishing and industrial design as well as graphic design, product and packaging design. How do they choose the colour? To arrive at their choice, Pantone look at an extremely varied mix of influences. This includes films in production, new artists, fashion, travel destinations, lifestyle, new technologies, materials and textures, plus social media and socio-economic factors throughout the world. They even look at forthcoming international sporting events – so you can see that the basis for the choice is broad. Colour psychology is important in design as the emotions evoked by colour influence buying decisions and choice. ‘Living Coral’ will no doubt therefore be at the forefront of design throughout the year and will play a large part in the graphic design of brands, and corporate identities as well as all other areas of design. Ice cream might be the last thing on your mind in weather like this, but Kentish ice cream producer, Solley’s Ice Cream, are preparing their new price list and other promotional material in readiness for the forthcoming season. Alpaca Creative has been asked to provide graphic design input. Work is underway on updating the price list, producing some new packaging labels for their delicious new flavours, plus designing POS posters. Once all the design work is approved, Alpaca Creative will also arrange for most of the printing to be carried out. Customer, Knight’s Hair & Beauty, of Ash has taken delivery this week of some A5 flyers, highlighting the launch of their new Retreat spa. The flyer shows the packages available, plus gives new clients an incentive to call by offering discounts on production of the flyer. These flyers will be distributed door-to-door, thus targeting a local audience who might need the services of Knight’s. Alpaca Creative designed and printed the double sided flyers. Another piece of work delivered this week was the updated version of Horizonscan’s A4 marketing brochure. Alpaca Creative designed an update to the original brochure to cater for a different target market, all to tight deadlines. The happy client emailed to say that it had arrived on time and that they were really pleased with the result. 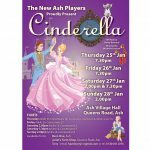 Panto season means just one thing at Alpaca Creative – the design and artwork of all the promotional material, ticketing and programmes for the New Ash Players’ annual pantomime. This year it’s Cinderella. Traditional elements have been included in the publicity material created by Alpaca Creative: the beautiful Cinderella, her handsome prince, a glass slipper, plus the more unusual pair of siamese cats! Rehearsals are well underway – cast photos will soon be shot to incorporate into the design of the programme. For tickets to the show call Tony on 01304 812076. More work completed last week was the fast turn around of artwork for a proposal document for a firm of architects, which came through a Canterbury based marketing agency. Also artworked was an NCR booking form for a Tenerife based golf equipment hire company. The form only needed minor changes and had already been designed, but Alpaca Creative completed this with the attention to detail that is given to all work. Just placed a print order for 1,000 compliment slips – no changes needed this time. About to amend business cards for another client and then send to print. Full stationery design, artwork and print service available. 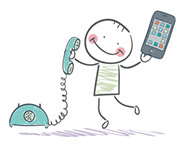 Call for a no-obligation chat about your stationery needs. As much of the design work of Alpaca Creative is carried out for other agencies, printers etc, it’s not always possible to tell you about the exact projects being worked on, but what we can say is that at this time of year you can guarantee that some of it will be related to Christmas! 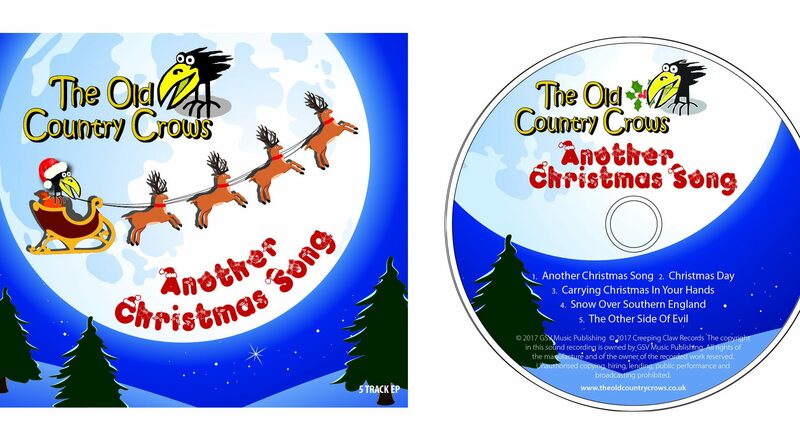 One recent design that we can mention is that of the CD and cover for The Old Country Crows’ Christmas EP – Just Another Christmas Song – soon to be released. The EP contains 5 new original tracks, recently recorded by The Old Country Crows. Another recently commissioned piece is the design of a Christmas card containing all the services over Christmas for a local village church. Also booked in is the design and artwork of a newsletter for a prestigious grammar school, but being work for another agency we will be shot if we tell you who it’s for! It’s not too late to make a start on designing ads, flyers, postcards etc to get any special Christmas offers or messages across to your clients. We can offer a fast turnaround on most graphic design projects, with printing also speedily delivered. Don’t forget to prepare for the new year by reviewing your branding material – Alpaca Creative can update your price lists and brochures etc so that you are ready for the year ahead. You might just need to adjust prices or add some new products, but you could take advantage of the necessary updates and go for a complete refresh. Alpaca Creative can design a whole new look for your business – get in touch to find out more.